The folksy Mississippi governor has a leg up on the GOP competition if he runs for president: He’s played the press like a violin. Lloyd Grove on his media magic. When he was running for president and even when he wasn’t, Arizona Sen. John McCain liked to joke that the journalistic establishment was “my base.” In the case of Haley Barbour, it might not be a joke. The 63-year-old Mississippi governor, who’s considering a 2012 White House run, enjoys the friendliest relations with the Washington media elite of any prospective candidate vying for the Republican nomination. He comes by this enviable position honestly, albeit lubricated by tumblers of good Kentucky bourbon, after toiling for three decades as an adviser to Ronald Reagan’s political operation, as a corporate lobbyist, as a candidate for Senate, as a GOP spin doctor, as a cable television talking head, and as the wildly successful chairman of the Republican National Committee who helped take back the House and Senate in 1994. With his slow Yazoo City drawl and lightning-quick mind, accentuated by a keen sense of humor and a gift for memorable phrase-making ("If we learned anything from the budget deal,” he once told an unsmiling President George H.W. Bush. “it's that compromising with this Congress is like paying the cannibals to eat you last”), Barbour gives the impression that he actually relishes reporters’ company. That warm, fuzzy feeling is reciprocated—more often than not on a first-name basis. As a political reporter for The Washington Post back in the mid-1990s, I too fell under Barbour’s spell, growing to appreciate his apparent openness, tactical savvy, self-deprecating charm—and generous supply of Maker’s Mark in his handy RNC liquor cabinet. The question, of course, is whether the Haley-media lovefest will help or hurt him among Washington-reviling Republican primary voters should he decide to take the plunge. Two corollary questions: Will Barbour, despite his Mississippi roots, be seen as a creature of the Beltway? (After all, until recently his name graced one of the capital’s lobbying powerhouses, Barbour Griffith & Rogers, now simply—and less incriminatingly— BGR Holdings LLC.) And will the media’s affections, as with McCain in 2008, prove undependable? The Washington Post’s chief political writer, Dan Balz, notes that “Governor Barbour knows a lot of reporters… is comfortable around the press and not defensive in the way he deals with the press. Now whether that will serve him well if he runs for president, I have no idea." Balz cautions: “When somebody runs for president, they are in a different relationship than they had before with the people in their own party, fellow elected officials, the voters, and the media. It’s just different. I don’t think you can presuppose that whatever the relationship was with any of those folks will necessarily remain the same. In fact, you can confidently say it won’t. There’s a different level of scrutiny." “His pragmatism so outweighs his partisanship, he looks like Gandhi in our current political atmosphere,” says Bloomberg News columnist Margaret Carlson. Case in point: John McCain, who in 2000 was the top primary challenger to frontrunner George W. Bush, was all but canonized by the media establishment for conducting his campaign as an endless rolling press conference on a bus dubbed “ The Straight Talk Express.” In 2008, as the GOP standard-bearer who picked Sarah Palin as his running mate, McCain was regularly scalded by some of the very same journalists he’d courted and flattered over the years. “I think it totally depends on events,” Balz says, “and on circumstances that, in some ways, are beyond the control of the candidate. On the other hand, says one veteran Washington political journalist, “the fact that Haley makes himself so available to the media might help him explain away his lobbying activities” or other potentially damaging stories about backroom deal-making in Mississippi. “Reporters might be more willing to put such problems in ‘context,’ ” says this journalist. 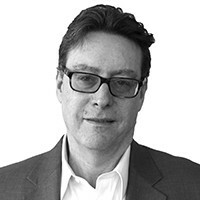 Ronald Brownstein, editorial director of the National Journal Group, points out that Barbour “is held in tremendous respect in the mainstream political media—certainly those around to experience ’94 and the aftermath know him to be a very shrewd guy… No one I know who was around then underestimates his skill and sophistication. But that doesn’t prevent you from recognizing that he has obvious hurdles and baggage.